Many first time home buyers don’t know what they’re doing, or have the funds to do what they dream of. It’s never any fun to turn away a young couple because they can’t put 20% down for their dream home. 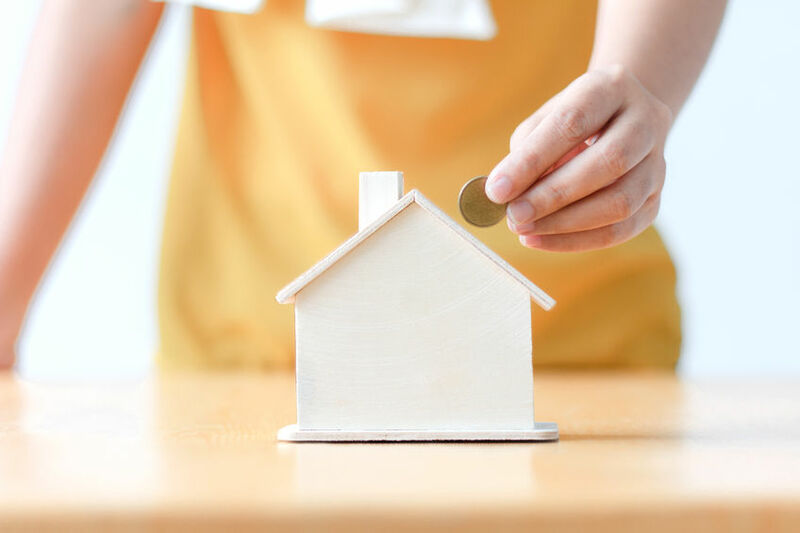 If you’re working with young buyers that need some guidance, suggest a few fun and creative ways they can save for the down payment on their future, securing a sale for you and their happy ending. Saving for a down payment on a conventional loan can feel like the end of the world, but it doesn’t have to be. You can help support your buyer, and suggest these creative ways to save for their new home.Teach them to supplement their income with some fun side gigs! Passive income is a great way to make money and forget that it’s happening. Various companies like FreeCarMedia will pay you to wrap your vehicle in an advertisement. Some larger companies pay up to $400 a month! Make money online. Anyone can get paid to share videos on Facebook, if you know where to look! Wingsplay will pay every time a follower shares or watches the video shared on your timeline. If they’re not big on the Facebook scene but have a viable internet connection and computer, steer your client towards looking into becoming a Virtual Assistant. For a couple hours a week, they can supplement their income easily with tasks like data entry and transcription. Most of us have some junk lying around, so suggest they sell their old stuff! Sometimes there are obvious things in the home waiting to be sold, like old electronics or clothing to consign. Let them know to dig a little deeper and look into selling photos to stock websites or selling their time for small labor jobs. Be creative! There’s always the option to monetize on some hobbies. If your client paints, or crochets, they could open an etsy shop. Some people have made loads of money by selling items they picked up at their local thrift stores on Poshmark or Craigslist. We see the ads all the time, and have likely ordered one ourselves. If you know your client has a safe vehicle, bring up the option to drive for Uber or Lyft. This is a great easy way to supplement any income, and better yet they can create their own hours! Or, if they’re trying to save time and money, show them how to change a few spending habits without getting a second job! Automatic deposits can be a life saver. Suggest they direct deposit to automatically move money into a savings account, they’ll forget that they had the money in the first place! Have them give their budget a hard look over, and get rid of any nonessentials. Things like cable or dining out can usually be cut – or at least cut back. Don’t tell them to starve themselves of a good time, but keep their goal of that beautiful new home at the front of their mind. Remind them to cut coupons, shop smart, and never impulse buy! Ditch the credit cards, and pay for everything in cash! On average we’re more conscious of how much we’re spending when paying in cash, and this allows us to avoid unnecessary fees by carrying a balance month to month! It’s easier said than done to steer someone down the right path with their finances, but they’ll appreciate your input more than you think. If your clients are struggling to generate a big enough down payment, offer these and whatever other suggestions you can to help them see the light at the end of the tunnel. Buying a home is a stressful process, and we all need a little guidance sometimes!